You will find our farm – ranch in the lovely Valley of Villnöss, at an altitude of 1.500 m above sea-level. 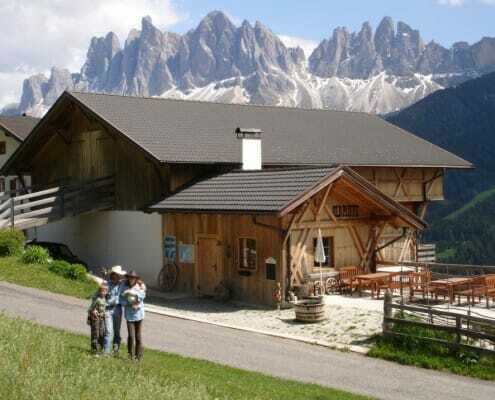 It’s situated next to the forest, with a stunning view of the Geisler Mountains. Our house offers 2 apartments, each with a balcony facing south, with a fabulous view of the entire valley. The farm – ranch is also home to 9 horses, shepherd dog “Iron”, 5 goats, 4 rabbits, cats, hens, and last not least – our 8 years old son Kevin and his uncle Albin, a gifted wood-carver.